This report for 2015 – 16 has been prepared for the Annual General Meeting (AGM) of the Australian chapter of Religions for Peace in Canberra (June 19th) and for the annual executive meeting of the Asian Conference of Religions for Peace in Seoul on 27th – 31st April, 2016. 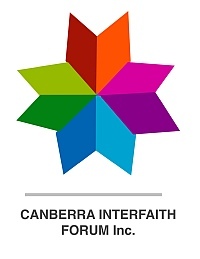 The past twelve months since the first historic Annual General Meeting in Canberra for the first time outside Melbourne following its founding in Melbourne in the very early 1970s has been characterised by the further structural consolidation of the Religions for Peace Australia network and some very worthwhile activities. Regarding the operation of Religions for Peace Australia, it has continued to consolidate its national structure and communication network through regular telephone meetings. Links with the Centre for Interfaith and Cultural Dialogue at Griffith University in Queensland have been strengthened through Dr Brian Adams who successfully organised the second G20 Interfaith Summit last November in Istanbul alongside the meeting of the world’s political leaders with the theme of Religion, Harmony and Sustainable Development. 330 people were in attendance from 37 different countries. It also helped sponsored a successful UN World Interfaith Forum in Dubai in February 2016 with about 200 people in attendance. The 2016 G20 Interfaith Summit will be held in China. At the end of 2015, the interfaith convenor in the Northern Territory participated in the national hook-up for the first time though there is not presently a functioning interfaith group in Darwin. But there had been a special event on the International Day of Peace, and a candlelight service had been held on the first anniversary of the Nepalese earthquake. For all groups in the six states and two territories, finances and additional membership, especially of younger members, continue to be stumbling blocks in the functioning and growth of the organisation. The major achievement of the year was the sponsoring of the address of the Grand Mufti of Australia within Parliament House in Canberra. Speaking through an interpreter, he gave an eloquent and poetic address on Islam and Islam’s links with Australia. The second speaker was the Archbishop of the Chaldean Catholic Church in Australia who had been born in Mosul. 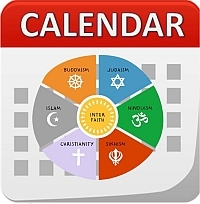 Our website (www.religionsforpeaceaustralia.org.au) through the daily work of our webmaster, Rev. Chris Parnell, continues to expand. 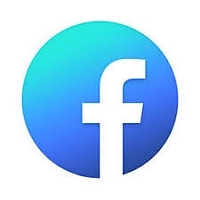 In 2015, it received 842,401 hits, representing an increase of 18.59 per cent over the previous year. There were 236,932 page reads (a decrease of 5.90%) with 50,039 visits, an increase of 8.4 per cent. The popular downloads were (1) Living Pope Francis’ Vision of Faith (2) The Golden Rule for Interfaith and (3) Discovering Buddha: Special Religious Instruction materials. The most popular articles were (a) Australia’s religious profile from the 2011 census (b) the list of worldwide Religions for Peace affiliates and (c) the 2004 research study, Religion, Cultural Diversity and Safeguarding Australia. Much online attention was paid to interfaith and climate change, the New South Wales’ Women’s Interfaith Network and the Nostra Aetate event held at the Great Synagogue in Sydney. In its small but significant way, Religions for Peace Australia has played its role at national and State/Territory levels in working for interfaith and multicultural harmony in a country where 43 per cent of the population of 23 million are either immigrants or have at least one parent who was born outside Australia. 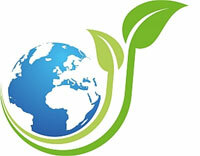 With its website it has continued to provide a very welcome service not only nationally but internationally. Many customary and some innovative activities occurred across Australia. At the national level, preparation is being made to incorporate acknowledgement of the Aboriginal ownership of the land into the RfP constitution alongside an attempt to have a similar acknowledgement in the Australian constitution. It also worked with the Australian Partnership of Religious Organisations through the New South Wales branch in holding a forum at Parliament House in Sydney on Building a Community with special panels on the role of religious leaders, the role of young people and the role of women of faith. The national organisation sponsored an Australian representative, Nivy Balachandran of the Hindu tradition, at an international RfP youth forum in Paris. Contact has been made to endeavour to resurrect the New Zealand national chapter but efforts have so far failed. Another youth representative, Tad Meretz, attended the Asian interfaith youth forum in Cambodia. Religions for Peace Victoria supported the Melbourne Interfaith Centre and its director, Helen Summers, also a member of Religions for Peace’s executive in Dine with You, for U.N. Interfaith Week, an outdoor interfaith dinner held in Melbourne’s city square. It has gained some research money from the Victorian Multicultural Commission to conduct a study of interfaith chaplaincy in schools, universities, hospitals, prisons etc. 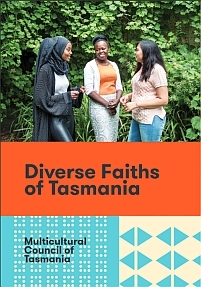 In 2015, the state government introduced a new policy for teaching religion in government schools and Religions for Peace Victoria worked with the government in delivering six three-hour briefing sessions for religious instructors from the Baha’I, Buddhist, Greek Orthodox, Hindu and Sikh traditions. The new policy has not been well accepted and some groups are moving to establish their own full-time schools with government support with backing from RfP Victoria. It also sponsored a very well-attended seminar during the U.N. Interfaith Week delivered at Melbourne University by Peter Horsfield, Professor of Communication at RMIT University, on Human Existence, Religions and the Digital World. 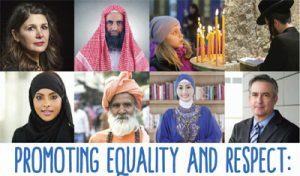 Besides organizing the G20 Interfaith Summit and the Dubai Forum, Queensland’s Centre for Interfaith and Cultural Dialogue has organised the Who is My God? Series with public tours of a mosque and various temples as well as several workshops on icons and religious imagery. 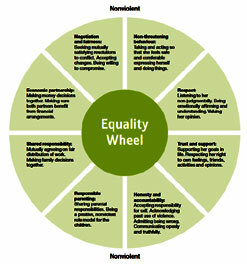 It has also presented several Religious and Cultural Diversity Training workshops. It has also worked with the Queensland government in putting together a multifaith/multicultural strategy in countering violent extremism. It had also held a multifaith peace work in the cause against domestic violence. The Multifaith Association of South Australia was focused on the challenge of its own revitalisation, and its two seminars targeted climate change, including Humanity at the Crossroads: How Spiritual Leadership Can Affect Climate Change held at the University of South Australia. The Association has begun to engage in a revitalisation process. The Tasmanian branch remains very active, holding a forum in association with the multifaith chaplaincy at the University of Tasmania on Remembering Peace: Celebrating the International Day of Peace in the ANZAC Centenary Year. It also featured the work of a Christian artist, Marianne Gill-Harper. In February for Interfaith Week it organised a forum in Parliament House entitled Reflections on Peacebuilding: Achievements and Challenges with Professor Douglas Ezzey as speaker. A branch of RfP is still to be formed in Perth though Eve Szauter has been giving reports. Two more peace poles have been planted in Perth and three in Fremantle. Objective Three: Building Partnership: The four aspects do not directly relate to the Australian chapter but it is fully supportive of efforts to bring about partnerships with ASEAN and other government and non-government organisations (3a) and with Asia-wide religious communities (3b) as well as deepening ACRP’s relationship with RfP International (3c). Objective Four: Implementing the Commemorative Project (ACRP’s 40th anniversary): Religions for Peace Australia is yet to engage with this objective except that Professor Cahill is leading plans to publish a scholarly accountable book on ACRP’s history and the activities in each member nation. Objective Five: Strengthening the Organisation and its Sustainability: While most of the aspects of this objective refer to ACRP itself, Religions for Peace Australia has had for several years an action plan though not as developed as it could have been. In accordance with 5e, a full plan of action is being further developed, including addressing 5f.